Stage 13 was a 275 km (171 mi) long trip from Nice to Briançon. It was a cold, rainy day in the Alps. The Italian sports fans who had flocked to the Tour to see their hero, Ottavio Bottecchia, had the pleasure of seeing their compatriot Bartolomeo Aimo be the first over both the Vars and the Izoard as he rode to win the stage. Bottecchia was 10 minutes back but still leading the General Classification. Nicolas Frantz, who was in second place in the gc in the beginning of the day lost over 13 minutes. 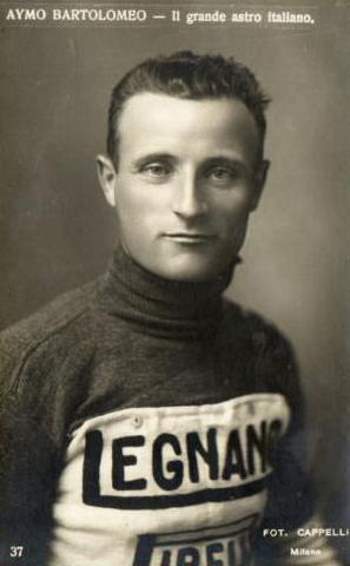 Ottavio Bottecchia won the 1925 Tour de France, Aimo finished in the third place. He finished on the podium of the Giro d’Italia four times (1921, 1922, 1923, 1928) and on the podium of the Tour de France two times (1925, 1926) but never won a grand tour. Bartolomeo Aimo (Aymo) was an ambulance driver under Frederic Henry’s command in Ernest Hemingway’s 1929 novel A Farewell to Arms. 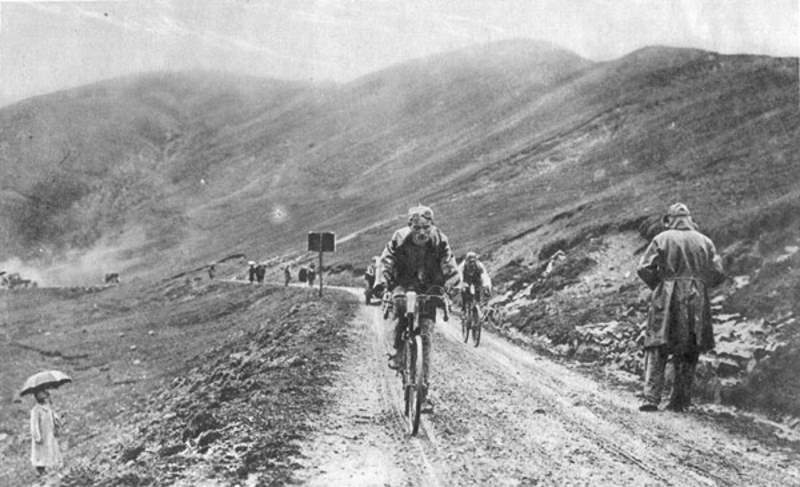 Hemingway developed a detailed knowledge of cycling during his European years. “Hemingway knew all the statistics and the names and lives of the riders,” friend and author John Dos Passos once said. The historic Aymo’s hard-luck career and tenacious riding style inform his fictional counterpart and underscore the qualities Hemingway famously valued in athletes, soldiers, and men of action. Aymo’s unfortunate career might have caught Hemingway’s attention and inspired him to immortalize the cyclist in fiction. The discussion between Aymo and the novel’s main character (Lieutenant Frederic Henry, novel’s narrator and protagonist) hints Hemingway’s fascination with cycling and its role in his works, especially in A Farewell to Arms. – “Do they ride bicycles in America?” Aymo asked. Unlike Hemingway’s character, the real Bartolomeo Aymo went on to live a long life and died only in 1970, aged eighty-one.